We’ve come across many reputable suppliers that are using computers and network-based IT systems to upgrade their internal management. Some adopt ERP systems to manage the material control, some rely on electronic accounting systems to manage the finance, and more are using customized software systems to improve the capability of documentation, production process, quality, inspection and record management. The transition from the traditional paper-based management to “paperless” is aimed at standardized management, less involvement by people, reduced cost, and improved efficiency. 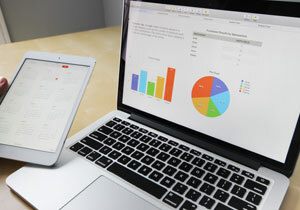 While paperless helps the standardized management at the system level and minimizes the various paperwork for files and records on site, international buyers should be concerned about whether the production processes are actually under control, how products and processes are traced, and if all records are real and effective. In short, the challenges are how to assess and reduce the quality risks posed by the “paperless” management systems. First of all, paperless management makes it easier to authorize, approve and distribute quality documents. But attention should be paid to issues that are easily missed in their implementation. How do signatures on electronic files, such as “Under Control”, “Signature” and “Date”, actually get approved and applied by the supervisors at various levels? How are documents timely updated and distributed to each department and made available for easy access at any time on the platforms and within each department? When it is not feasible to have a computer terminal at every workplace, how to address the risks of mishandling by workers? Are supervisory authorities clearly defined and are there accountability systems to control the actions of the managers and users? Secondly, attention should also be focused on the timely, accurate and complete documentation of self-inspections, cross inspections and special inspections during productions. Since dedicated inspectors are not involved in direct productions, it is fairly easy to implement the special inspections and recording in a timely, accurate and complete manner. Self-and-cross inspections are relatively difficult to implement. Workers are responsible for the production and quality performance, the production volumes are directly related to their income. So workers tend to focus on volumes, rather than inspections and records. It is not quite practical to request that they stop the work to record the inspection data into computer systems in the middle of production, since not only it takes up their time for production but also becomes troublesome for them to take off the gloves or wash their hands and walk to the station in order to operate the computer. Even if the practices become mandatory, what we have in the system are usually data based on memory or random data within tolerance that are made up after the production ends. For many factories with the existing operation environment, the transition to a complete paperless system is not as simple as the installation of some software or an electronic management system. It involves multiple resources and is also limited by many factors across a company, such as workers, infrastructure, application methods, and implementation timing. A better strategy is for companies to implement paperless management with parts of the production process and their management based on the unique situation at each company. Meanwhile, for international buyers evaluating the QMS of their suppliers, the challenge becomes to watch for the interface of the paperless system with the paper-based management, and be alert for any potential quality risks in the process. 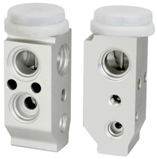 (2) External balance valve; External balance type is usually for automotive application. Main causes: Cleanliness, improper refrigerant, component mismatching, etc. The reason AAAQA has called for a QMS standard specifically for the automobile aftermarket is the distinct difference between the OEM sectors and the aftermarket in terms of the supplier organizations, product structures, and production scales. While the OEM supplies are typically of limited ranges with large volumes, the aftermarket is usually for wide ranges with small volumes for individual items. Among the aftermarket manufacturers, there are also huge variations in terms of corporate strength, production capability, and the different product characteristics, whether they are producing safety products or accessories for example, which usually means substantially different sophistications of the QMS from factory to factory. The lack of a unified QMS standard for the aftermarket has not only resulted in higher quality risks for the industry but also created confusion to the international aftermarket buyers who have to tell the difference among the aftermarket suppliers despite the lack of standardization and transparency. While some large international buyers are financially and technically capable to develop their own requirements for quality assurance as well as supplier evaluation standards, most are left on their own to assess and select the suppliers. As a result, the supplier development costs are usually very high for buyers and the suppliers also have to endure repeated audits by different buyers. Alliance of Automotive Aftermarket Quality Assurance (AAAQA) seeks to address these very issues with the proposed Automotive Aftermarket QMS Standard. For more details on the project, please visit www.AAAQA.org. The Chinese New Year for 2018, the Year of the Dog according to the Chinese Zodiac, starts on Friday, 16 February. 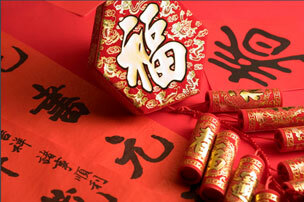 The Chinese New Year celebration, also called the Spring Festival and traditionally running for 15 days, is the most important holiday period for the Chinese people just like Christmas in the West. Most people will get a 7-day holiday and those living away from home will always go back to join the families and the celebrations. Many manufacturers have large number of workers from far-away rural areas. For most of them, the Spring Festival is usually the only time during the whole year when they get to go home to see their parents or children. So they tend to take many more days off before and after the holidays in order to have enough time to be on the road and at home. Production at many factories will then be stopped for an extended period of time. Meanwhile, almost all domestic and international transportations will also come to a complete halt during the period. International buyers are therefore advised to start planning early to prepare for the supply interruptions.